The last few days of the semester are also a time for a little holiday creativity. I recently held a small holiday gathering for the UIS Chancellor's Division and a highlight of that event is our annual cookie decorating contest. The categories were "Best UIS Theme", "Best Holiday Theme", and "Ugliest". Our esteemed judges had a tough time making their decisions, but in the end three exceptionally creative cookies stood out. Assistant Men’s Basketball Coach Amorrow Morgan won the "Best UIS Theme" category with his depiction of the campus colonnade. Graphic Designer Lindsey Feger won "Best Holiday Theme" and Head Women’s Soccer Coach Molly Grisham won in the "Ugliest" category with …. well, I don’t know how to describe hers except to say it was not very appetizing! 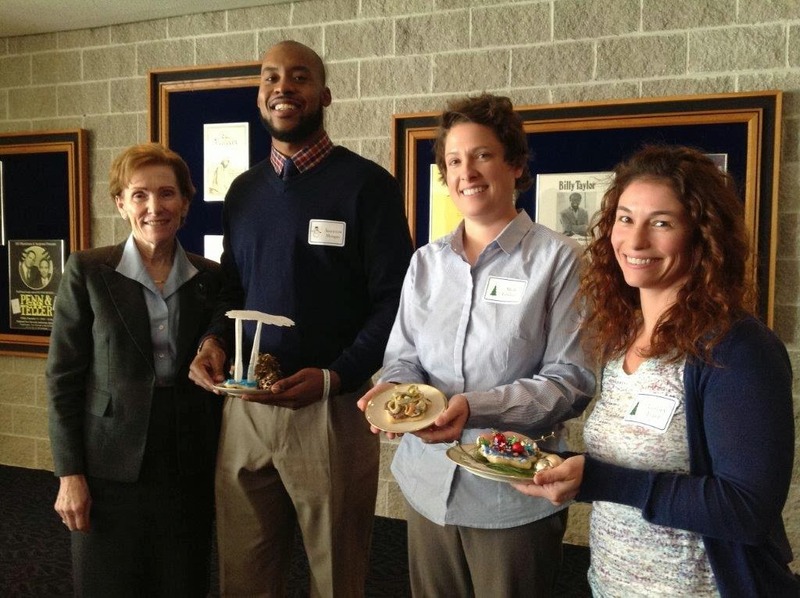 As you can see from this photo of the Chancellor with our winners, creative minds were plentiful that afternoon. Happy Holidays to all!